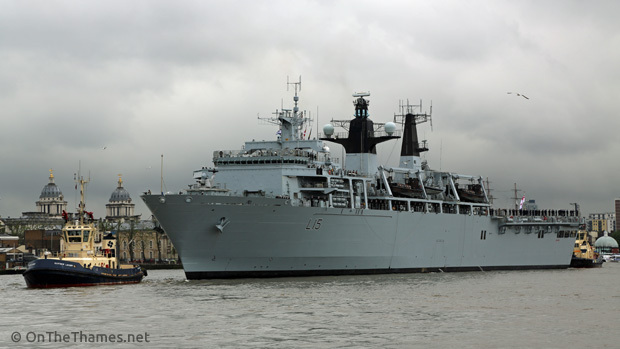 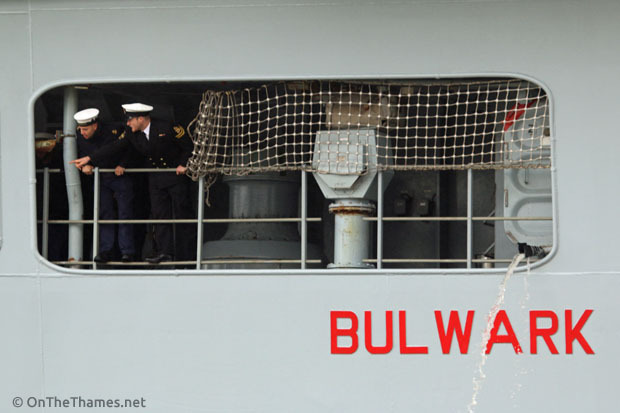 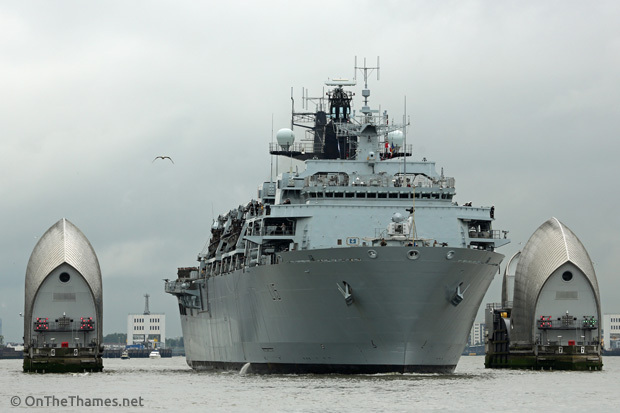 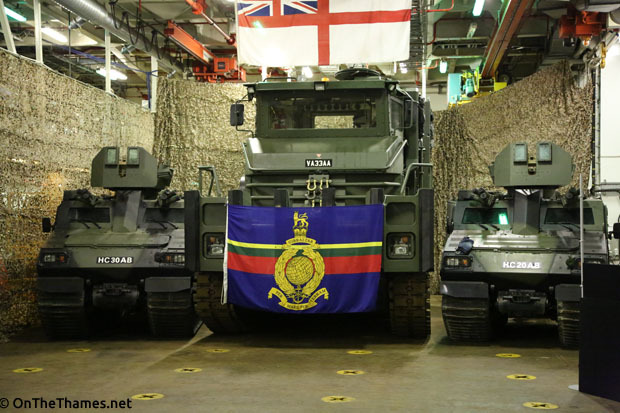 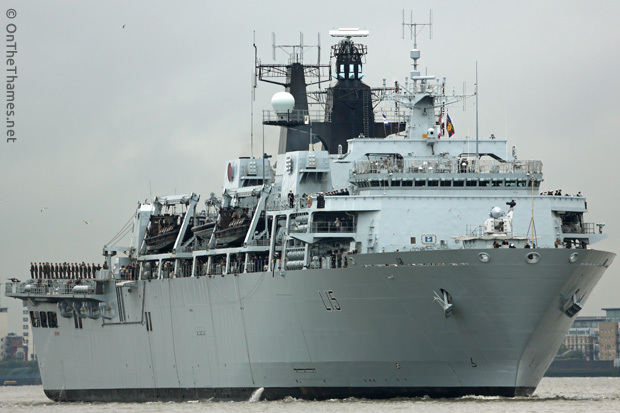 HMS BULWARK L15 arrived in London yesterday lunchtime for a visit to help mark the 350th anniversary of the Royal Marines. 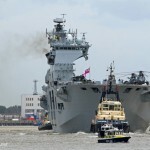 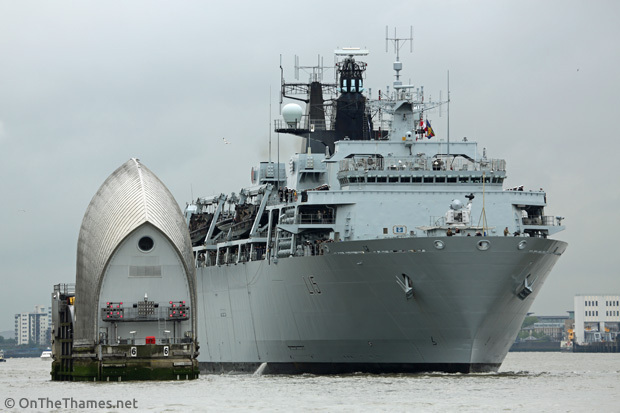 The flagship of the Royal Navy reached Greenwich at about 1pm at moored at Greenwich Shipping Tier. 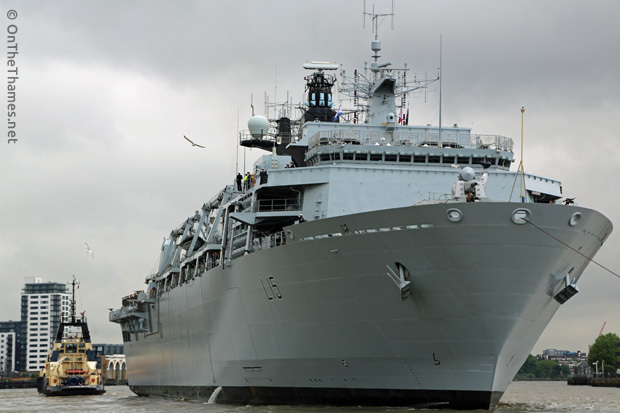 The Albion-class vessel will be open to the public this weekend, although tickets for this are all gone. 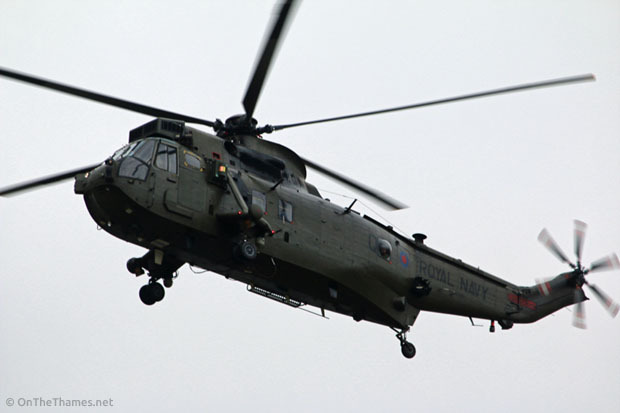 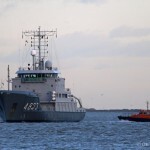 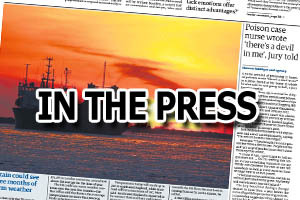 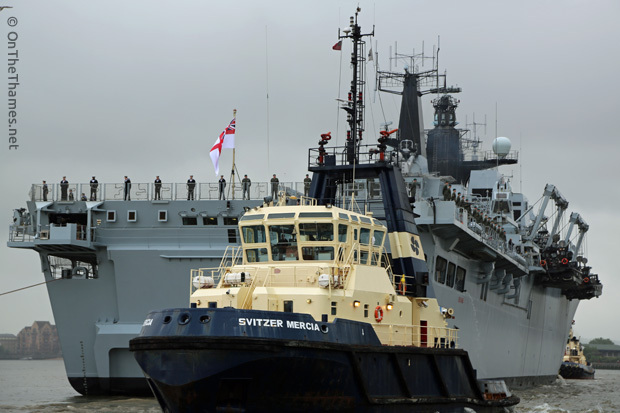 She will be hosting a visit from the First Sea Lord who will award the prize for the Navy's prestigious Peregrine photo competition and watch a sea and air capability demonstration on Thursday night at 8.30pm. 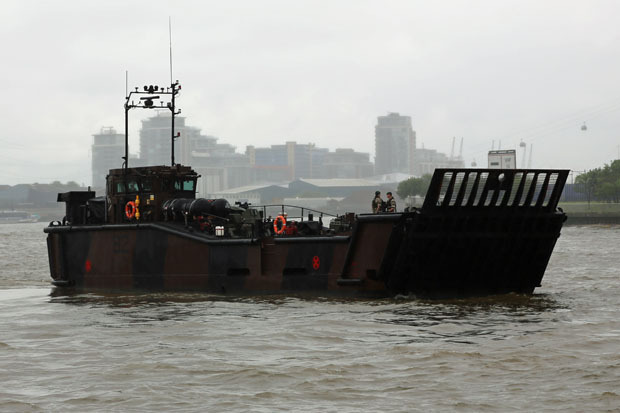 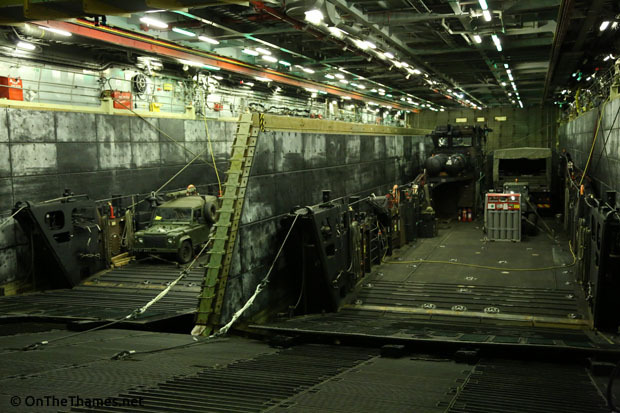 A Landing Craft has travelled further up river and can be seen at St Katherine's Dock this weekend. 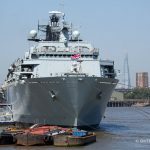 BULWARK, under the command of Captain Dean Bassett, will leave London early on June 3rd before heading to Southsea and then Normandy for D-Day commemorations. 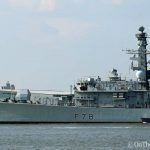 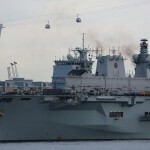 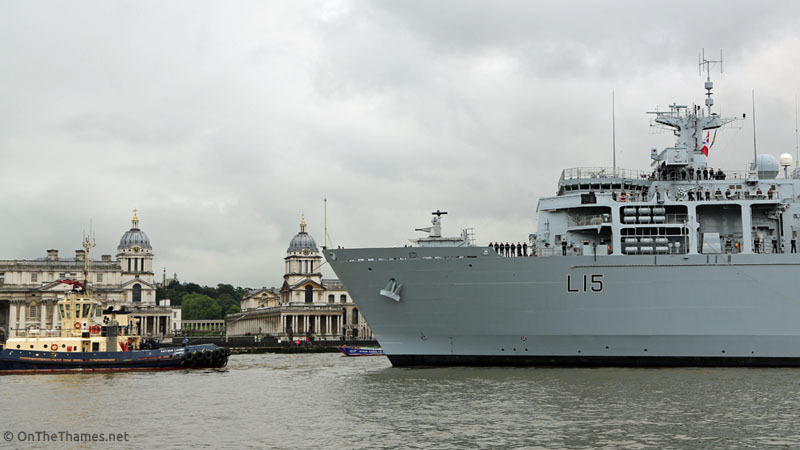 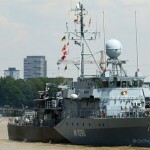 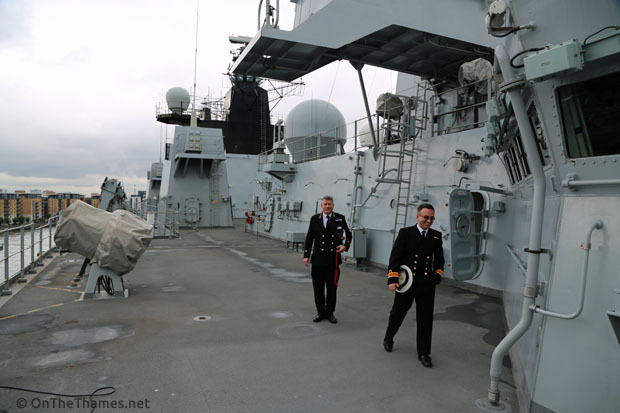 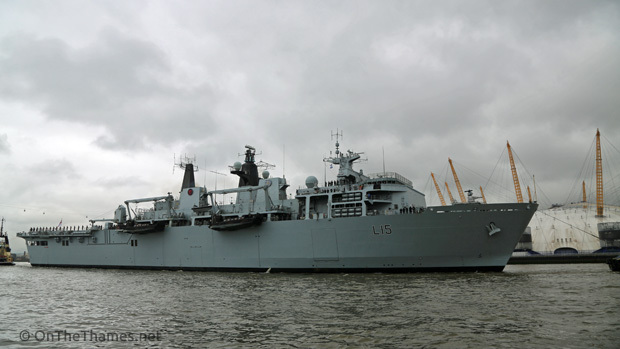 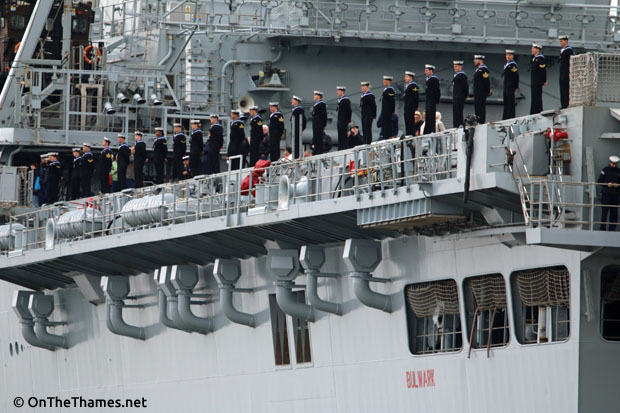 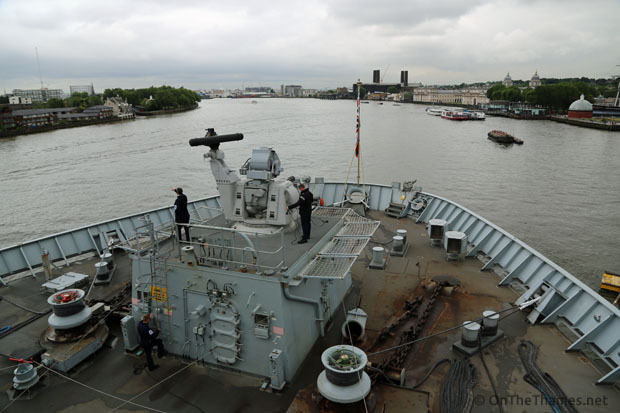 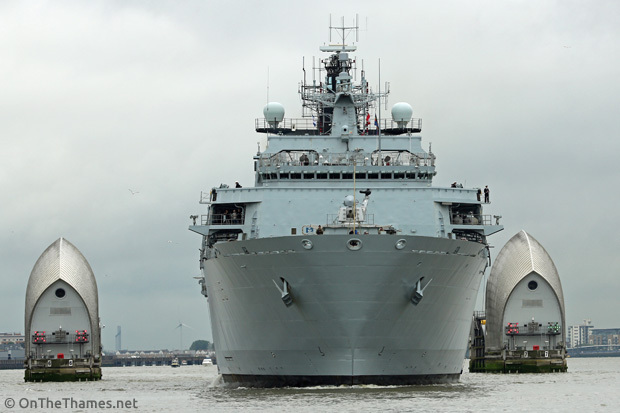 Twelve hours after her arrival, the type 23 frigate HMS MONTROSE also arrived in London, mooring at West India Dock.